Simon McCoy has been in broadcast journalism for more than 20 years. Simon McCoy started his journalism career at the Fleet Street News Agency in London before joining Thames TV as a researcher for Thames News in 1983. 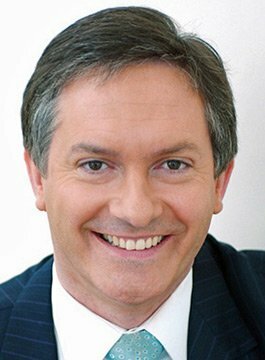 In 1986, Simon joined the breakfast TV station TV-AM as a news editor, and in 1988 he moved to Sky – initially as a producer on the Sky News breakfast programme ‘Sunrise’. After a year as a general reporter for SKY, Simon was appointed as Royal Correspondent, and between 1991 and 1996 he covered all the major stories which affected the Royal Family. After traveling around the World reporting on the Royal Family, Simon took a desk job – presenting the ‘Sunrise’ programme on Sky News. He also presented the ‘Tonight’ programme – a topical chat show involving interviews with people from the worlds of showbiz, politics and sport, and in 2003 Simon co-anchored Sky’s coverage of the Iraq war on location in Kuwait and Basra. Simon McCoy joined BBC News 24 and BBC Breakfast in January 2004.